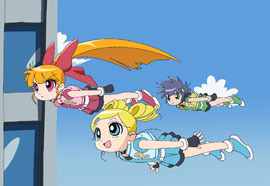 ©2006, Cartoon Network, Toei Animation, Aniplex, and TV Tokyo. All Rights Reserved. THE POWERPUFF GIRLS and all related characters and elements are trademarks of and © Cartoon Network.